Can A Collection Agency Call Me As Many Times As They Want Each Day? No, they may not. In fact, it is unlawful for the collection agency to contact you several times in one day via the phone. This is described as ‘incessant calling,’ and is actionable in the courts. The area of law that governs what a debt collector may or may not do is the Fair Debt Collection Practices Act (FDCPA) and the Telephone Consumer Protection Act (TCPA). These statutes regulate the practices of collection agencies. For instance, it is unlawful for a collector to contact you on your cell phone. The reason for this is because the law states you cannot incur charges from their attempts at collection. Most cell phones come with a calling plan of some sort, in which you are provided a certain number of minutes. Each minute used is deducted from the total minutes afforded each month, after which you pay a certain amount for each additional minute used. So if a collector is calling and using up those minutes in an attempt to demand money from you, they are violating your rights. Or if the collection agency is leaving you voice messages (either on your cell phone or land line), they must be very specific in the type of message they leave. It is necessary, when they leave you a message, to inform you of the fact that they are a debt collector, that the call is an attempt to collect on that debt, who the underlying creditor is, what the name of their company is, and a number that you can reach them at. So if you receive a voice message that says something like this: “Hey John! This is Frank. I have something I need to talk to you about. It’s very important that you give me a call as soon as possible, because this is very urgent. Call me at 1-800-blah-blah.” That kind of message is a violation of federal law, and the collection agency that left it can be held accountable. In addition, it may also be wise to look into whether or not you may need to file for a Missouri or Illinois bankruptcy. A St. Louis Chapter 7 bankruptcy or a St. Louis Chapter 13 bankruptcy may help your situation tremendously. Such a filing will get rid of your unsecured debts (like credit cards, medical bills, and payday loans) all together. 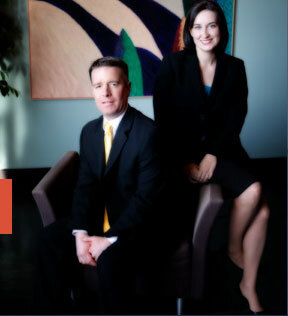 The affordable St. Louis bankruptcy attorneys at Brinkman & Alter, LLC have been providing quality bankruptcy legal services for over ten years. Our goal is to make sure that you get back on the road to financial success by helping you receive the fresh start / clean slate that you deserve.